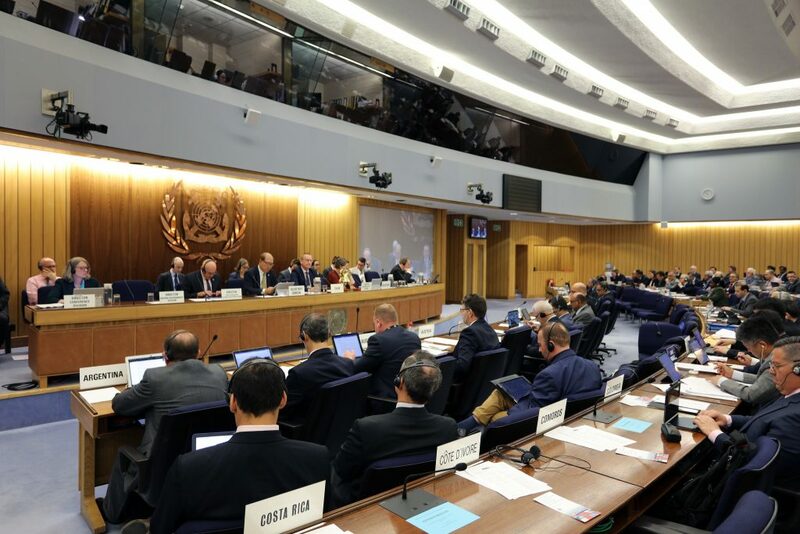 As part of the continuing celebrations of International Maritime Organization's (IMO) 70th anniversary, they will be opening their Headquarters to the public within the framework of the annual London Open House Weekend initiative. This exciting event, a first for IMO, will take place on Saturday 22 and Sunday 23 September 2018 from 11 am to 4 pm, and it will give the public a rare opportunity to visit the building and learn about the role and importance of IMO. For further details please visit the open house website via this link. The IMO building is the headquarters of the Organization and was formally opened by Her Majesty Queen Elizabeth II on 17 May 1983. It was purpose-built by the Government, which remains IMO's landlord, and overlooks the River Thames by Lambeth Bridge. •	an outstanding view of the Houses of Parliament from the fourth-floor terrace. A monumental bronze sculpture, the International Memorial to Seafarers, stands by the main entrance. It was designed by Michael Sandle and was unveiled by IMO Secretary-General William A. O'Neil on 27 September 2001.